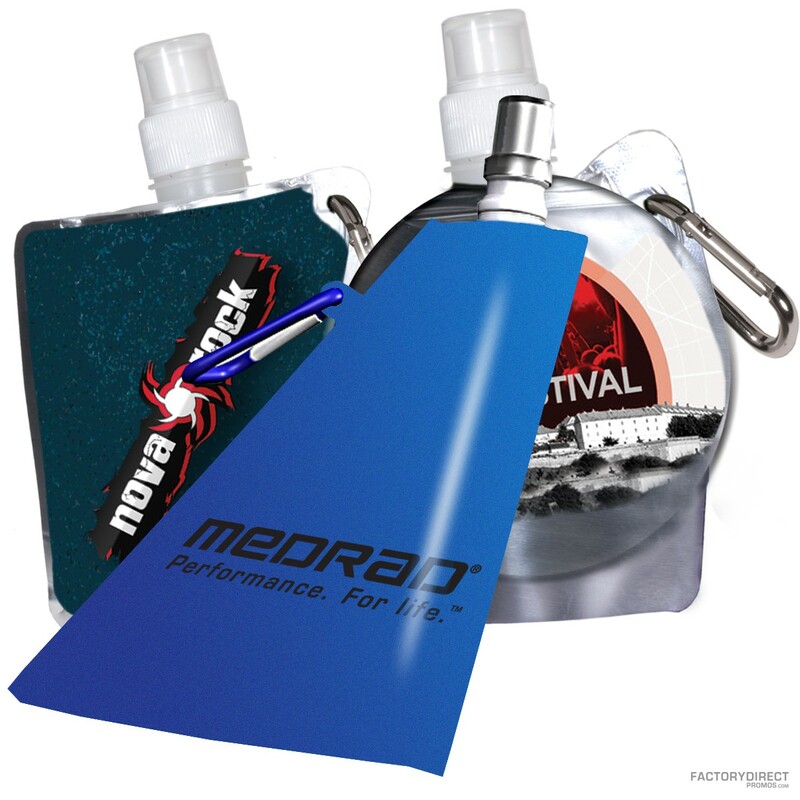 Our customizable water bottles are a great way to stay hydrated on the go and flatten to take up minimal space when not in use, making them perfect for hiking or camping. Since these custom collapsible bottles are so handy and so unique your customers are bound to use them all the time which will get your brand noticed. Our eco-friendly bottles are also reusable for added convenience. We work direct with the factory to make these bottles so we can offer you great wholesale pricing, allowing you to promote your brand without breaking the bank. 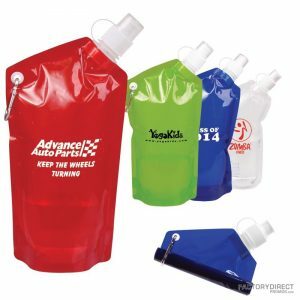 Select from the color, shape, and size for a completely custom bag that fits your image and will increase your brand recognition.